The true value of your inspection work is the information and advice you leave behind. How you present your findings will affect your customers’ confidence to make the right decisions. 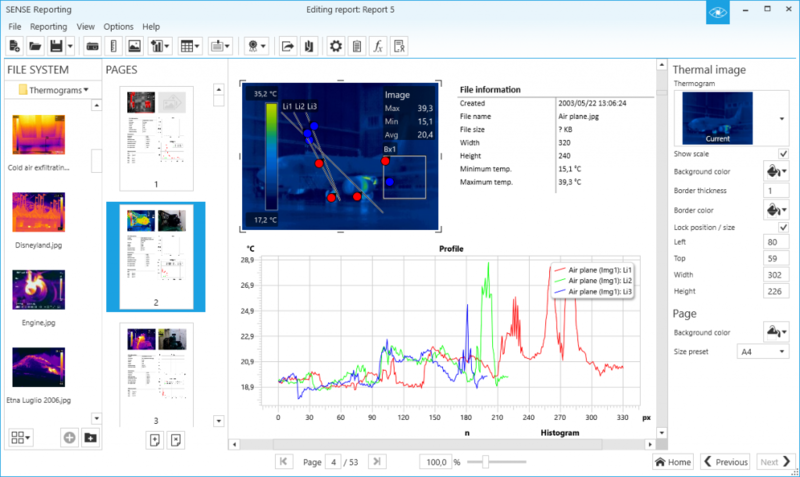 With Sky Eye Sense professional IR reporting software you can generate reliable reports that look good both within the software and as shareable or printed versions. So easy, you’ll be creating professional inspection reports almost instantly. Use manual report creation when full control is preferred. The automated placement of the page items does the hard work for you. Make comparisons with measurement line profiles plotted together. Improve your delivery and manage your thermal reporting with clarity and simplicity. Sense Reporting helps you take the tediously manual tasks out of reporting and visualize your data in a matter of seconds. Create a report and customize to your organization’s look and feel without additional expensive licenses. Sense Reporting helps you work efficiently with multiple images and plotting functionalities. Sense Reporting assists in avoiding mistakes and time-consuming correction work. Test whether conditions are true or false and make logical comparisons. Sense Reporting allows the use formulas with conditional formatting. Preserve the formatting in your file and save your work as a PDF or XPS file directly from within Sense Reporting. The PDF and XPS file formats are easy ways to save and view your report and enables file sharing with your colleges and decision makers. Generate your report in a matter of seconds. Fully customizable templates and reports. Different templates for different image groups. 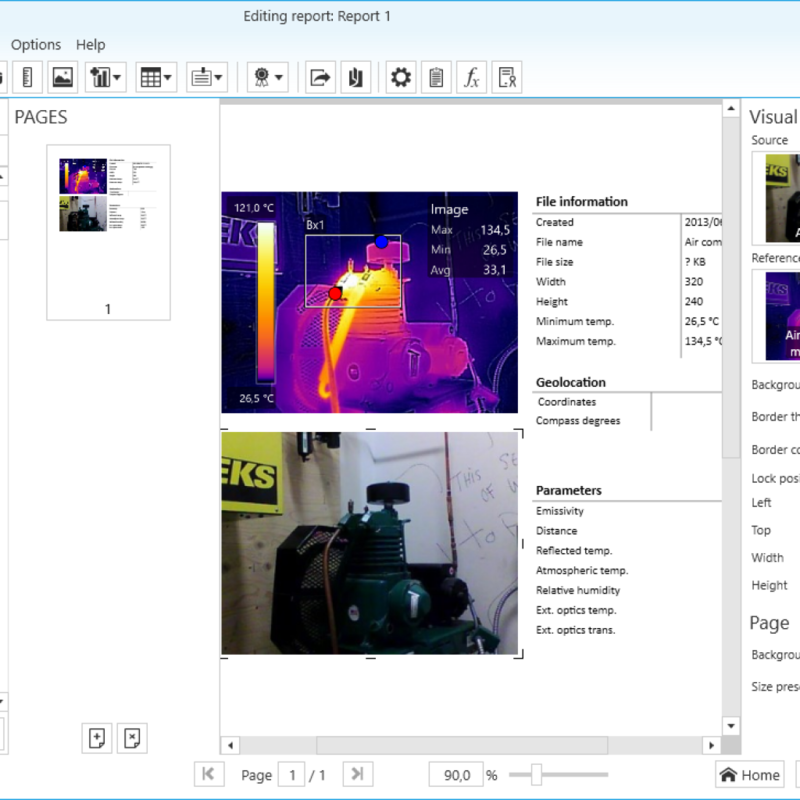 Renders multiple lines, measurement from one or more thermal images. Multiple lines from one or more images. Calculations on multiple images simultaneously. Separate expressions for ‘True’ value, ‘False’ value and the condition itself. Start making an impact, buy a license now. 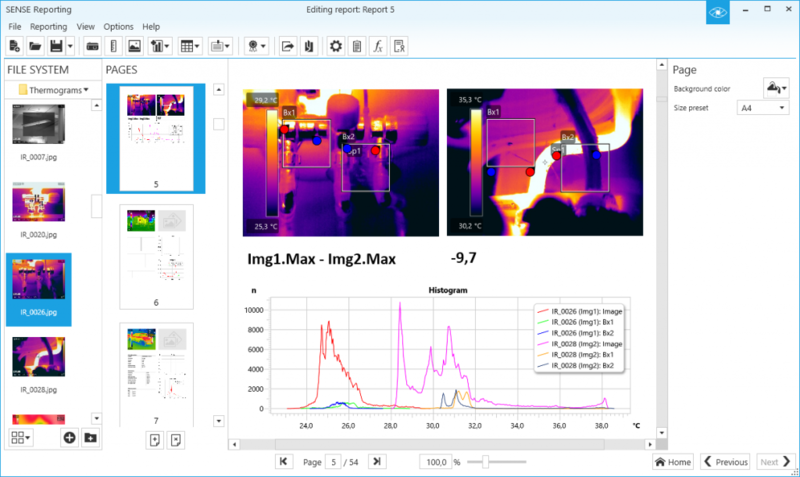 Professional IR reporting software created for thermographers, engineers, scientists and professionals working with thermal images on a daily basis. What comes with your Sense Reporting license?